Founded in 2009，TOPATOM International Co., Ltd now supplies worldwide, high quality linear lighting solutions based on flexible printed circuit boards. We are specialized in interior or exterior led neon ribbon light for decorative or architectural applications. 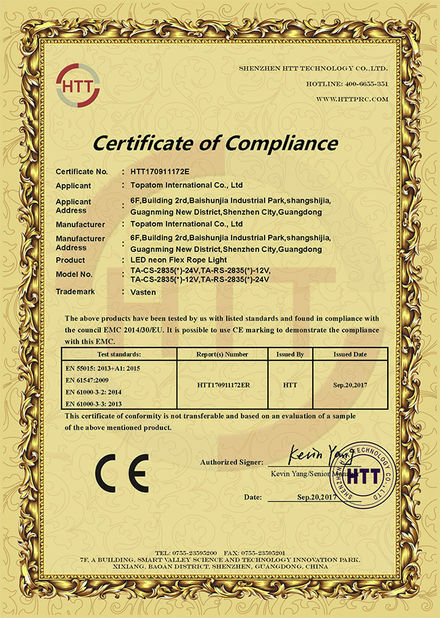 We have CCC, CE and ROHS certificates for all our products. 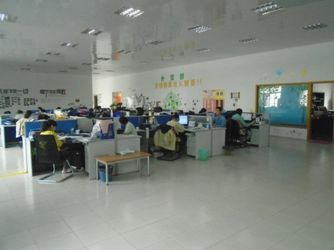 TOPATOM has rich experience in design, manufacturing, marketing and service. After about 8 years lighting project cooperation with customers, our products are proved to be superior performance on water proof (with an ingress protection of up to IP68) , UV resistant, DIY cutting & connecting accessories and uniform neon light effect. 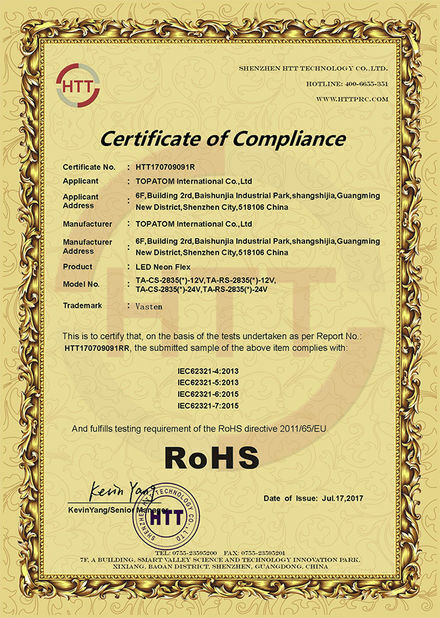 2009: TOPATOM was founded & CE, ROHS was certified. 2008: Utility model patent was registered. 2009: Attending HK International lighting Fair & Lighting+building fair Frankfurt. 2010: Another utility innovation patent was awarded. 2011: High brightness LED SMD chip was launched. 2013: Enterprises are expanding and LED SMD chip products achieving seriation. 2014: Senbe optoelectronics laboratory was built. 2. own a professional R&D team, if any customers have any new ideas about developing new products, tell us your idea, we can perfectly design and manufacture what you have in mind.